As brands vie for Cannes Lions' third pharma Grand Prix, they also wrangle with balancing wit with regulations and tastefulness. Where does the best work draw the line? When a pair of animated fish cracking jokes about triglyceride levels won the first pharma Grand Prix last year at the Cannes Lions International Festival of Creativity, the campaign was initially lauded for its smart, silly, irreverent tone. And then the backlash hit, and it was criticized for that same reason. AstraZeneca had worked with DigitasLBi to develop the unbranded campaign, which kicked off in 2014 when the drugmaker received FDA approval to market Epanova, a prescription fish-oil pill that helps lower triglyceride levels. Was this campaign emblematic of the good work the industry does? Did it matter that the campaign was unbranded, and not product-specific? Those are some of the questions agency leaders asked among themselves. "I thought it was a very charming and disarming way to make people care about a subject matter that is quite mundane, which is triglycerides," said Alexandra von Plato, this year's pharma jury president and group president of North America for the Publicis Healthcare Communications Group. The use of humor, though, didn't deter criticism of the campaign, which stemmed from a deeper concern within the industry, she said. "In the scheme of how important this industry is and the importance of the work it does, [the campaign] felt a little trivial," von Plato said. "That campaign for fish oil was good, but the sense was that it wasn't Grand Prix-worthy." Despite the success of "Take It From a Fish," AstraZeneca at some point this year took down all of the campaign's online creative, including the website, Twitter feed and YouTube videos. A spokesperson confirmed the decision, telling us that the campaign "was an innovative pre-launch and non-branded marketing effort that has recently been discontinued." But the move may not have had much to do with marketing strategy. The drug is not available at this time to consumers, according to its website. The spokesperson declined further comment when asked about the drug's availability. As such, the "Take It From a Fish" campaign can serve as an example of the common ups and downs of pharmaceutical marketing. Drugs don't always get approved. Clients get acquired by other companies. Brand budgets get slashed or disappear altogether. A warning letter from the FDA can legally limit creative efforts. When asked if his agency had developed a campaign for the launch of a drug that entered a crowded market, an executive there laughed and indicated that campaign never exited the doors of the agency, at the discretion of the client. Still, agency leaders say that the creation of Lions Health — this will be the specialty event's third year — is pushing agency creatives and their clients to do better work. "Even when people are complaining, it's probably good for the business because they are saying: Why aren't we winning more?" noted von Plato. "We certainly should be winning." The appetite to celebrate winning work seems to be increasing. 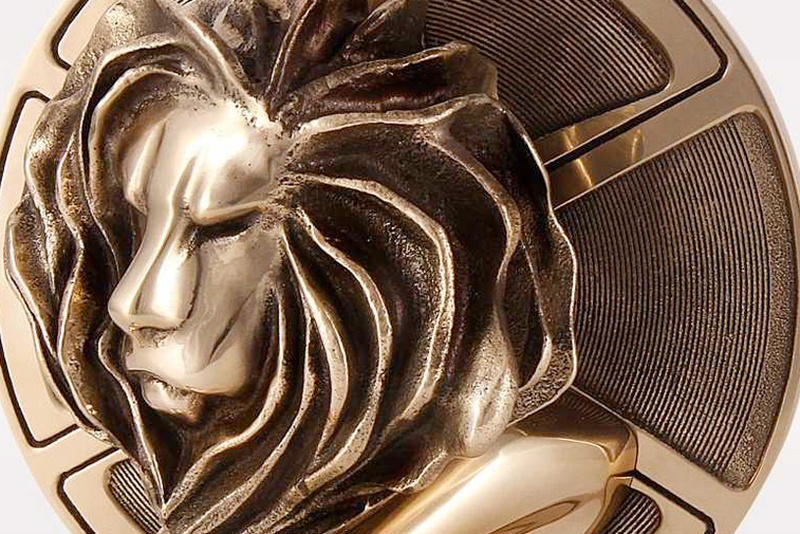 The Cannes Lions organizers said that health and wellness entries are up 42% to 2,024 in 2016, and pharma entries increased 35% to 583 this year. The Cannes team also made some small changes to the pharma jury process this year, including separating black box, branded and unbranded communications — a move that should further highlight the creative restraints present in the regulated world of healthcare advertising. Still, agency leaders say that the need for creativity in the pharmaceutical industry has more to do with addressing criticism about drug prices and the business case for direct-to-consumer advertising — which are two significant issues at play in the US this year — than with winning the top prize at Cannes. "The whole issue of pharma pricing and direct-to-consumer advertising has become a public and public health issue," said Josh Prince, chief marketing officer at Omnicom Health Group and this year's jury president for the health and wellness category. "Because [the US is] not a single-payer marketplace, a lot of things are third-party funded. [Since] consumers are now having to take on the cost burden of pharma, all of these issues are conspiring to make clients more conservative with their communications." But pulling back on risk-taking in marketing isn't expected to improve the dialogue between drugmakers and the patients, insurers, doctors, lawmakers, and investors who make up their audience. "Conservatism is not going to help them," Prince said. "It's really going to take inventiveness and inspiration and ambition and creativity. When it's done and it's done well, ideas can really cut through, even against all of the issues." This article first appeared on http://www.mmm-online.com.